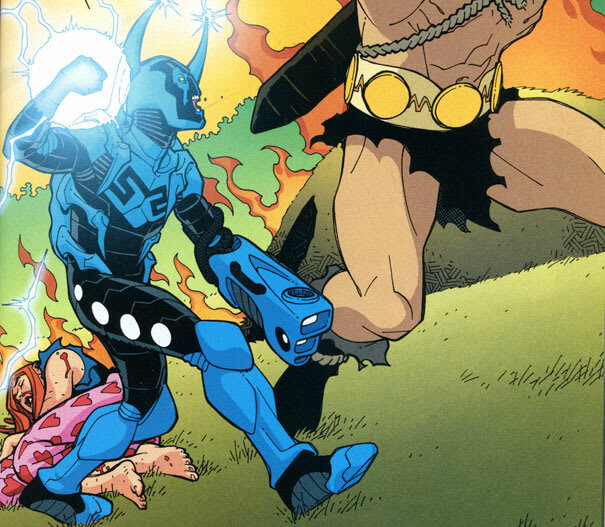 The beauty of Blue Beetle's costume is in the details. The segmentation at the hinges give great texture and the sheen of the black and blue color scheme jumps off the page. Plus, chicks dig beetle horns and extra torso legs. There was a poll. Chicks are freaks.